Polite and efficient office staff. Caring doctor who listens to patients and provides excellent care. I totally recommend Dr. Edwards. He's a great doctor. I have been seeing Dr. Edwards for about 11 years. He delivered all of my children and I wouldn't have it any other way. Right after delivering my last child, I had after birth complications that were life threatening, without giving any further detail, Lets just say, Dr. Edwards saved my life!!! The doctors and staff at St. Johns had heard about it and were amazed at how quickly he responded. I think of him with love and gratitude every year on my son's birthday and am so thankful for this wonderful, knowledgeable, calm and confident Doctor. I have been going to Dr. Edwards for over three decades. The office staff is friendly. Dr. Edwards is professional, kind, punctual and very knowledgeable. I'm a first time patient and luckily Dr. Edwards was friendly and knowledgeable. I felt incredibly comfortable during my visit and will definitely continue going to him! Dr. Edwards and his staff were absolutely amazing. Very kind and caring. Dr Edwards and team are the best! 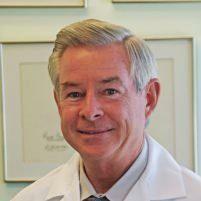 Dr. Edwards is incredibly knowledgeable, attentive and supportive. His entire staff is very friendly, caring and organize. I received confirmation on my appointment right away and found the entire experience outstanding. I love Dr E. I never wait for appointments, his office staff is super nice and he takes time to explain things to me during my appointment. I have been seeing Dr. Edwards for many years. He is very easy to talk to and has always helped me deal with any concerns. He is interested in my overall health, not just his area of expertise. His staff is really outstanding as well. I have been going to doctor Edwards for years and he is the best. Today was my 1st visit with Dr. Edwards not only was he nice but thorough and he spent time understanding my medical history. During the exam he explained everything that was happening and had a female staffer present. Dr. Edwards is a professional exemplaire. He is thorough, honest and empathetic. I have been his patient for about 20 years and have always walked out feeling confident about his recommendations. Dr. Diane M.
Quick and easy....exactly what I hope for during these appointments! i was seen quickly. dr. was courteous, helpful, flexible and understanding of my needs/requests. We are forever grateful that our good friend referred us to Dr. Edwards. He and his staff are truly the best medical office we have ever been to. They helped us through our two pregnancies and yearly exams, despite living an hour away.